With Las Vegas building an NFL stadium, do you think an SEC team ever comes west for a neutral field game that isn’t in their back yard? It’s hard to read. They don’t get that it’s not NC or bust for the U. 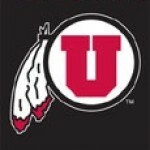 Even with a couple of losses Utah is still competing for the division, conference and better bowl affiliation.